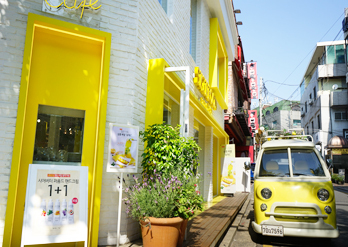 One-day Tour of Gangnam’s Hottest Places! 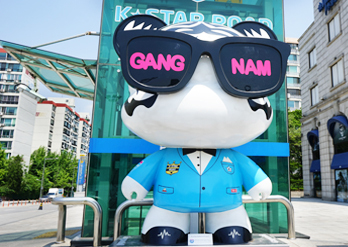 Gangnam sprang to the forefront of Korean tourism after Psy’s song “Gangnam Style” hit the international airwaves! 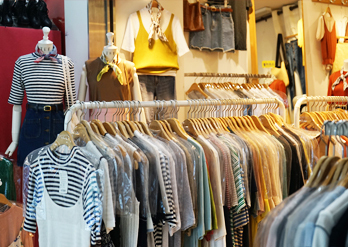 Known as the most prosperous area in all of Seoul, Gangnam is almost synonymous with words like fashion, trendy and cutting edge. Visit Gangnam to feel the excitement of youth at the base of impossible-to-count skyscrapers. 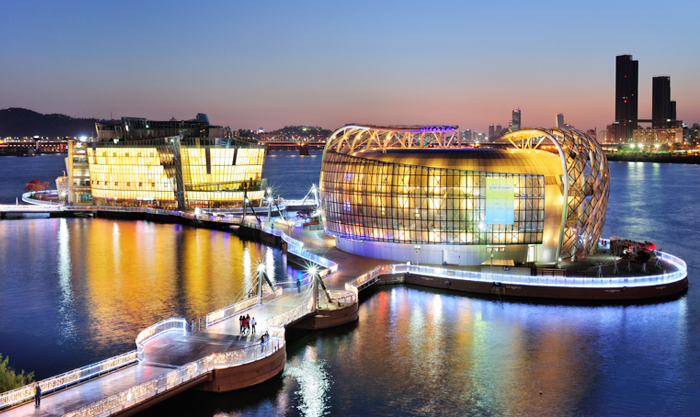 Experience Gangnam, an area so completely trendy and modern, it will be hard to find a trace of traditional culture! 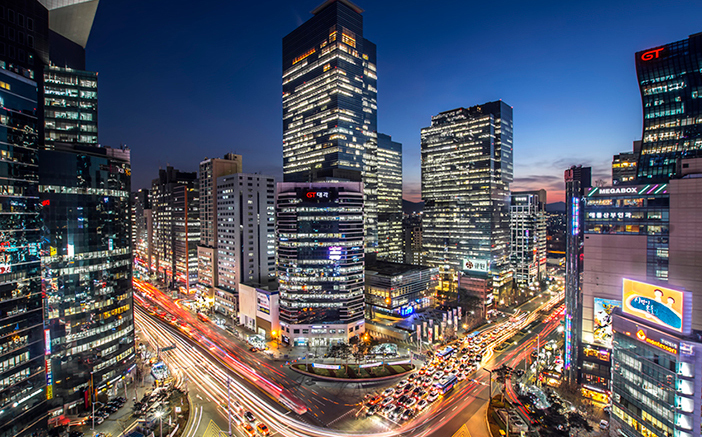 Set aside one day of your travels to discover the hidden charms and delights of Gangnam. Seoul Travel TIP : If you only have one day to travel around Seoul, we recommend taking the Seoul City Tour Bus. To experience just the Gangnam area, you can take the "Around Gangnam City Tour Bus" and if you'd like to see more of the city, ride the "Panorama + Gangnam Tour Bus." With just one ticket, you can freely hop off at Seoul's most popular tourist attractions, and hop back on when you're ready for the next site. Gangnam has the largest floating population out of any district in Seoul. Skyscrapers line the many straight and wide roads that stretch through Gangnam; the buildings house businesses ranging from finance and trade to information technology. 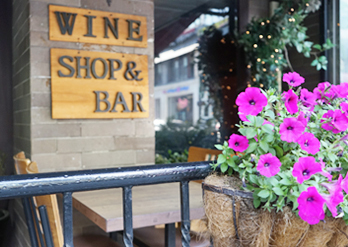 On weekday mornings, the area is crowded with office workers, while the evenings and weekends play host to young 20- and 30-year-olds looking for some fun. There is no shortage of things to see at Gangnam Station, between the modern skyscrapers above ground, and the vast Underground Shopping Center. 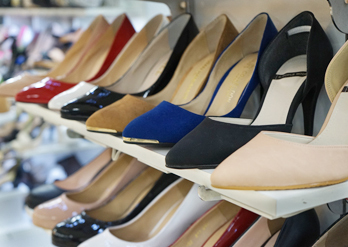 Here you can find a multitude of shops selling trendy items from hats to shoes; buy an item or two to take back as souvenirs and show-off your very own “Gangnam Style." Garosu-gil Road in Sinsa-dong, Gangnam-gu, is lined with interesting and unique things to see. 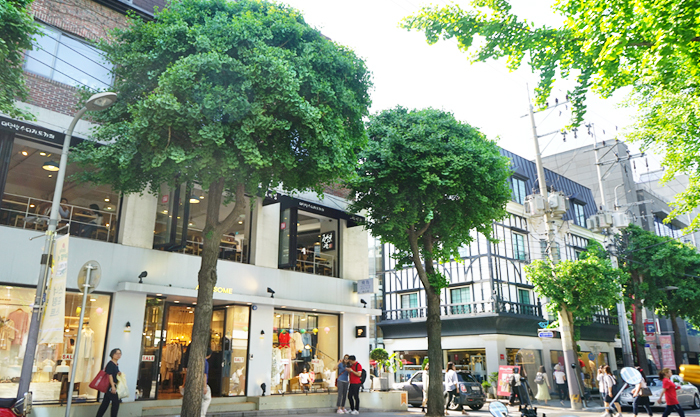 Stretching approximately 700m from Sinsa Station on Subway Line 3 to Hyundae High School in Apgujeong, the street is lined with perfectly straight ginkgo trees. The verdure of the leaves in summer creates a refreshing feeling of nature, while the golden leaves in autumn make for beautiful photo spots. The trees are beautiful and should definitely not be ignored, but the real charm of the area lies elsewhere, in the shops, cafés, and restaurants. Unique shops with individual characteristics and tastes began to spring up one or two at a time. After this, it became easy to spot fashionable young men and women year-round. The area is also popular among couples as a date location. Hallyu fans, here is a site you must not miss! The area of Cheongdam-dong has been decorated in hallyu-themed art toy sculptures and other things to see. 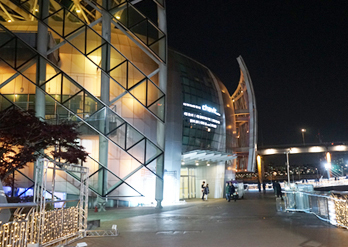 The area, known as K-STAR ROAD, was planned by Gangnam-gu District Office for all hallyu fans, in hopes that it would become a must-visit course. 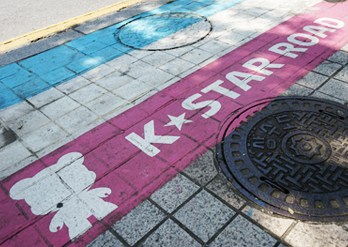 K-STAR ROAD is designed as a "city ollle-gil" trail. Spread out over 1.08km, the path is studded with large art toys printed with famous hallyu star names and designs. The road is printed with pink labels to show the way like a road map so that you don't lose your way. 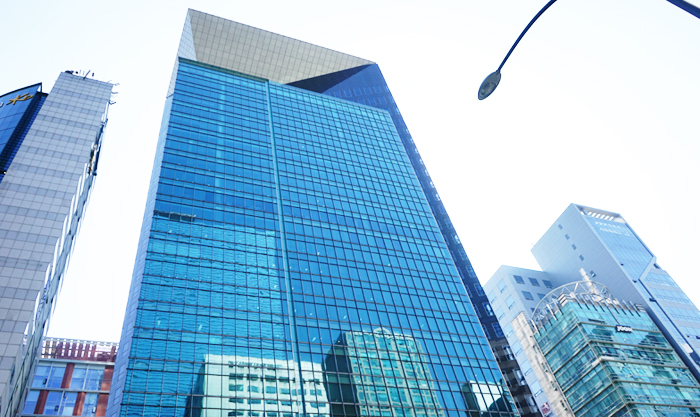 Follow the map and you can easily find not only large entertainment buildings like JYP Entertainment and FNC Entertainment but also delicious restaurants in the area that are frequently visited by hallyu stars. Seorae Village, located in Banpo-dong, Seocho-gu, is known as Little France. 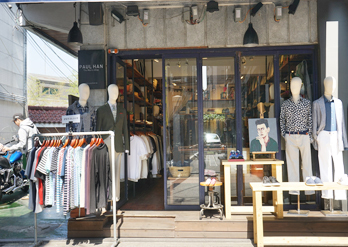 The village first got its name in 1985, when a French School at Hannan-dong moved to Banpo-dong. After the move, the area around the school filled with French citizens, creating a unique neighborhood and village community. Compared to other neighborhoods, Seorae Village has an exotic atmosphere, with fancy restaurants and cafés down every street. 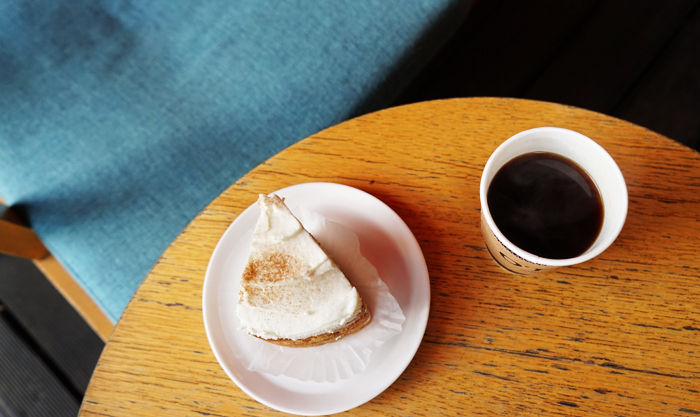 Walk through the side-streets and find a café that appeals to you for a cup of tea or coffee and a short rest. After exploring the village, head up the hill to Montmartre Park. A forest within the city, the park is a rest area for the local residents. 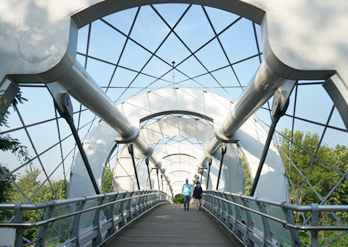 One of the park’s key points is Nuedari Bridge, designed after the delicate strands produced by silkworms. Some Sevit is well-known as being a filming location for the blockbuster hit "The Avengers: Age of Ultron (2015)." Some Sevit is comprised of three man-made structures located just south of Banpodaegyo Bridge. The name of these unique buildings means "three islands of light." In addition to the beautiful lights, the unique architecture of the islands also draws the eye. Built atop floating platforms, the islands were the world's first ever attempt at floating architecture. All three islands – Some Gavit, Some Solvit and Some Chavit - are connected via bridges. Nearby the islands is Some Yevit, an outdoor media art gallery and performance stage on the riverbank. Of the three islands, Some Gavit and Some Chavit feature cafés and restaurants, perfect for having a meal or just enjoying a light cup of coffee. Some Solvit and Some Yevit are great for enjoying concerts and performances. 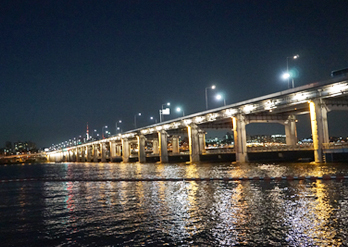 If time allows, we highly recommend visiting Some Sevit in the evening when the lights reflect off the flowing waters of the Hangang River. The islands, the bridge, and the ever-changing lights create a romantic atmosphere that is unrivaled by anywhere else. Operating hours: Varies by shop. Refer to the website for detailed information.